My family has been loving our time in Florida! 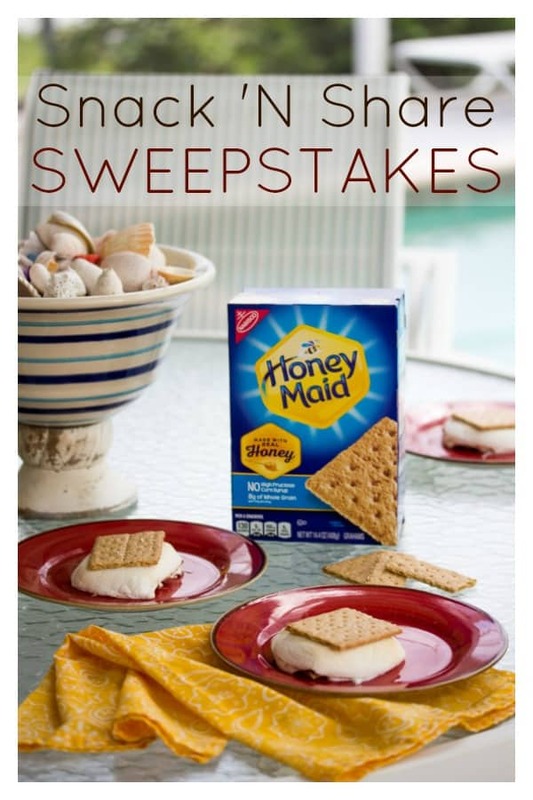 Check out all of our summer snacking favorites plus how to enter a fun sweepstakes! As some of you may know, my kids and I are spending a good portion of July in Florida with family. Our first week in Florida was what we called “vacation week” since my fiancé was here with us. We did a lot of running around and did quite a few touristy activities. It was fun, but exhausting! Since my fiancé left to go back to work, the remainder of our time here has been more laid back. There’s been a lot of swimming, hanging out with the neighbors, who have 2 boys around my older son’s age, and relaxing! Of course, there’s also been a lot of mom’s homemade cooking, dad’s grilling, and plenty of snacks to go around! Be sure to check out the fun sweepstakes at the bottom of this post for all the details on how you could win $10,000 and other great daily prizes! 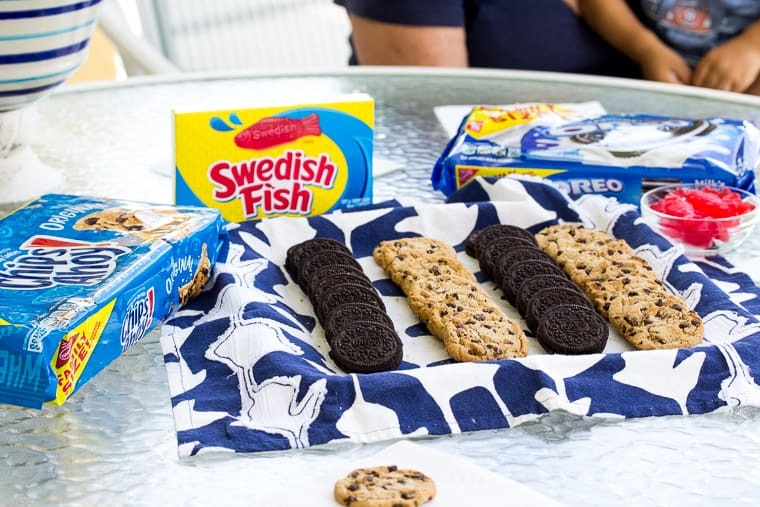 NABISCO has such a great variety of cookies, crackers, and gummy snacks that are perfect for long summer days! Our go-to after swimming snack is usually a cookie or two. We love CHIPS AHOY! and OREOS! These were favorites of mine growing up and now they are my kid’s favorites too! 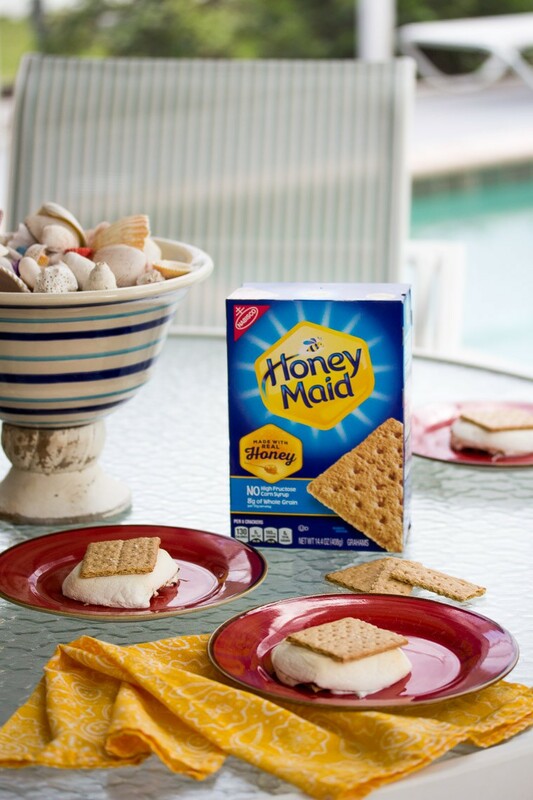 Some nights after dinner, we break out the fire pit and make s’mores with the Honey Maid Grahams. Even on nights where it’s raining, we still enjoy them by popping them in the oven instead. We also like to take the cookies and grahams with us on beach days! The grahams are great with those little peanut butter and chocolate hazelnut dips too! 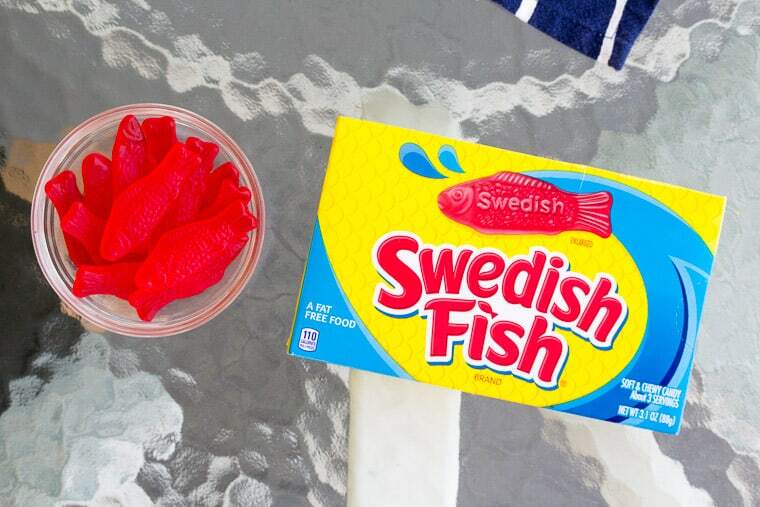 Swedish fish are our favorite gummy snack. Of course they are delicious right out of the box, but they make a fun ice cream topper too! 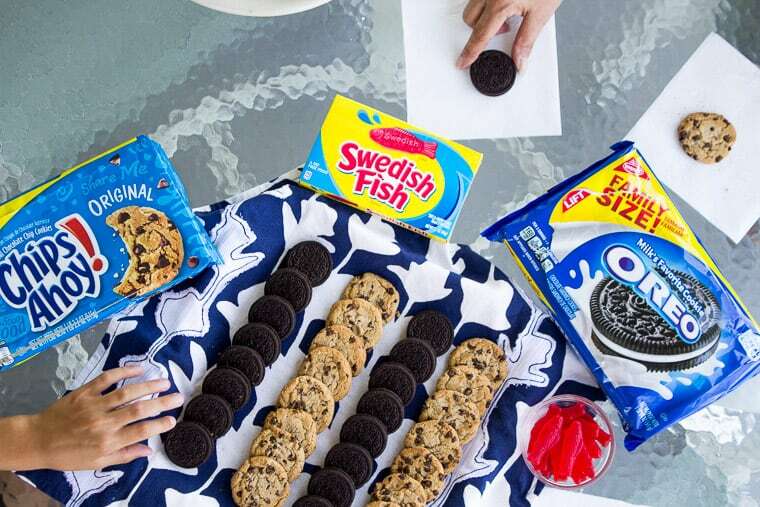 For some fun summer snacking ideas check out the NABISCO Snacking Moments page and their Pinterest board! Enter the NABISCO Snack ‘N Share Sweepstakes for a chance to win $10,000 and other daily prizes. 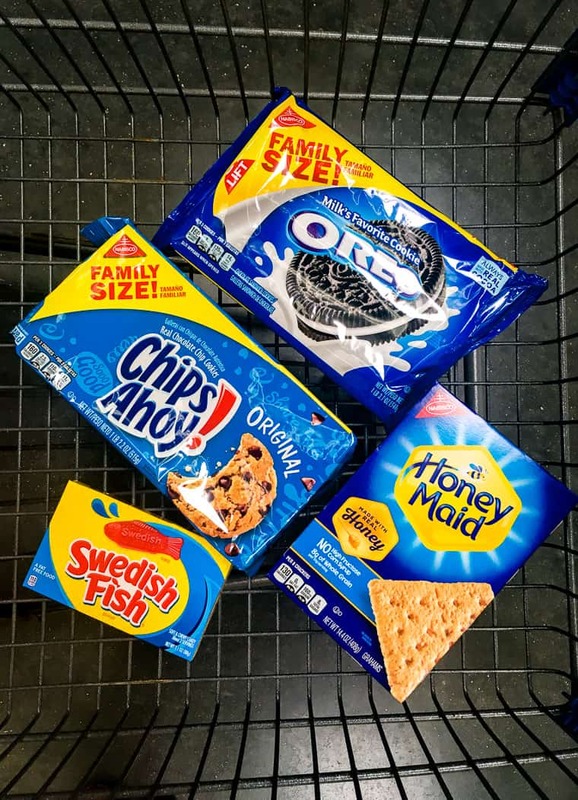 Enter by simply sharing a photo of your family and friends enjoying your favorite NABISCO snacks that you’ve purchased at Walmart this summer! Make sure the NABISCO snacks are visible in your photo. Share the image on social media with the hashtags #snacknshare and #sweepstakes. Disclaimer: NO PURCHASE NECESSARY. Open to residents of the 50 United States, D.C., and Puerto Rico, 18 and older. Sponsor, related entities, their families and those living in the same household are ineligible. Ends 11:59 pm ET on 9/5/18. Void where prohibited. What a great pool party! Yum.